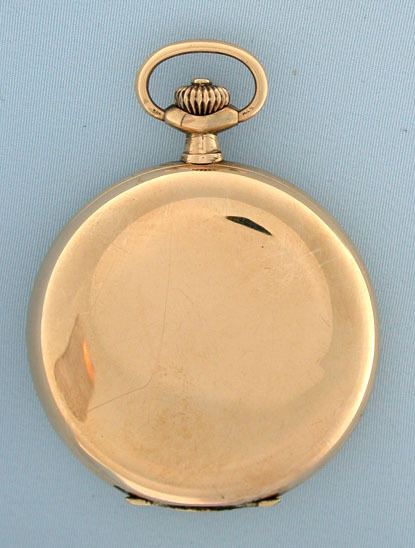 Fine German Lange 14K gold hunting case antique pocket watch circa 1926. 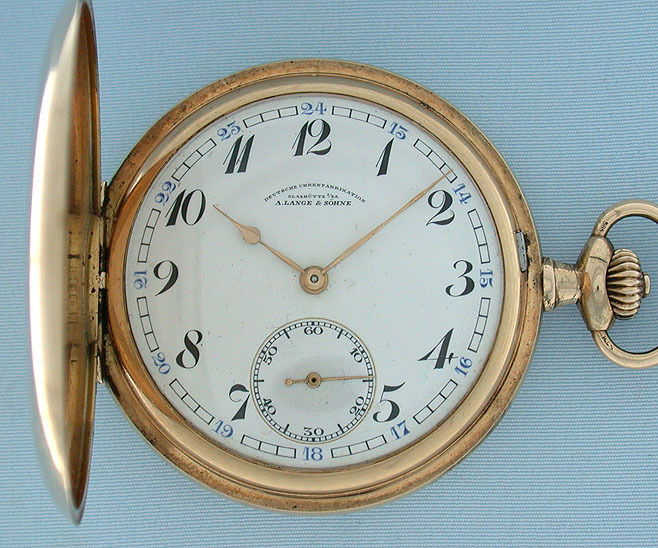 White enamel dial with black and blue numbers and gold hands. 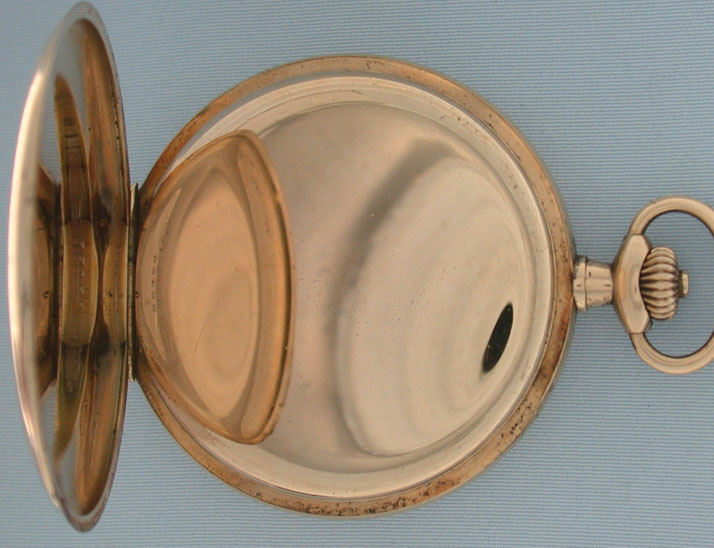 Plain polish case with minor dings. 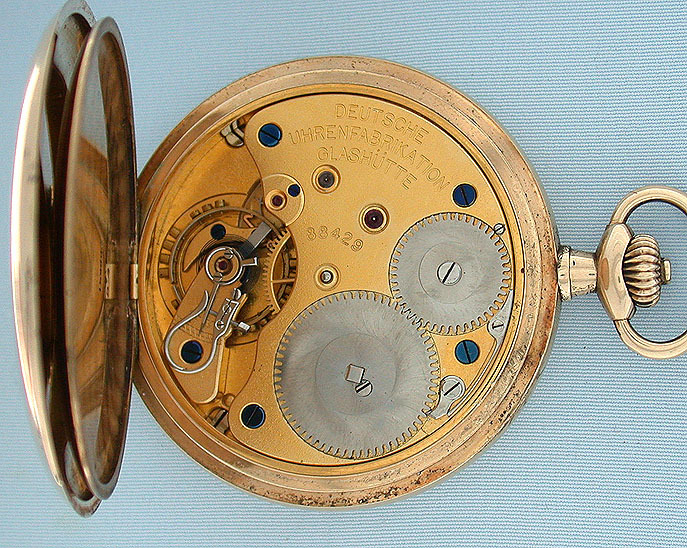 Gilt 3/4 plate 15 jewel movement with precision regulator.